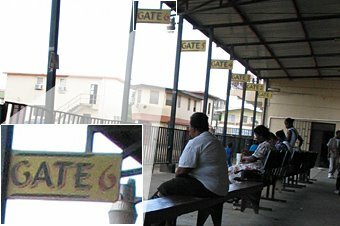 A year ago I visited parts of Central America and like the super-geek that I am, I came back with plenty of pictures of signage. Recently, I have been coming across many conversations which relate to some of the signs, so I thought it was time I posted them. I have a fondness for the layers created by flyers stapled on top of one another. They create a history of the ephemera of a city. 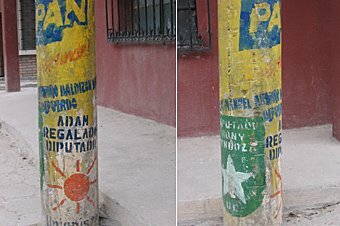 In Flores, flyers are stenciled onto poles, creating a really rich tapestry. If this was a painting, I’d buy it. 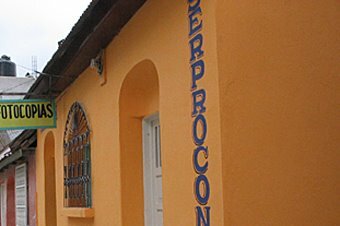 Also in Flores, the signage for stores are hand painted. Again the same shadowing, but this time the text is more derivative of woodtype. Each time a location changes owners, the exterior is painted and a new sign is hand lettered. So while the New York Times is writing articles on the death of hand painted signs in America, it’s still thriving elsewhere. Also check out I Love Letterpeg for some great urban signage. In Antigua. I wonder what Otto Neurath would say about this. Of course I thought of this sign marking the approach to an active volcano. 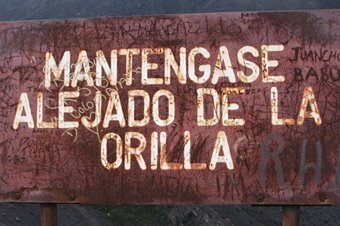 Everyone (who couldn’t read Spanish) thought this sign was indicating the danger of lava and noxious fumes emitting from the cone. It was only when I babel-fished it that I learned otherwise. I was on my way to visit my mother this weekend and desperately looking for a way to pass the mind numbingly boring 3 hour journey. That's when I discovered Podcasting, about three years after everyone else. I downloaded a BBC radio four podcast on Relativity (titled: In Our Time). It turned out to be a discussion of relativism in philosophy, which I will feebly attempt to summarize here. Suppose we both look at a shade of blue. I love it, you hate it. There is nothing inherently good or bad in this shade of blue, however, because of our background, culture and personal preferences, even our biological makeup, we both assign different qualities to it. This makes any one view of the world relative to the viewer. Now this isn’t such a complicated issue when we apply it to food or clothing choices, but it gets decidedly tricky when applied to science, mathematics or any real pursuit of truth and knowledge. If there is no absolute truth and everything is relative, then physics, say, can never improve our knowledge of the world; only offer us ways to interpret it. 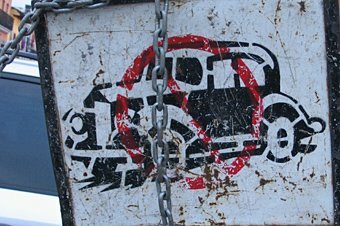 This led me to thinking about Robert M. Pirsig’s Zen and the Art of Motorcycle Maintenance. In it, Pirsig’s main character becomes fascinated by the ambiguity of quality. Beyond any formal rules created within any one field, a person can review a work and make a judgment on its quality. However, the thing that identifies it as a piece of quality remains indefinable. Often we agree, sometimes we do not. Pirsig uses written essays as an example, and seeing as I’m not a writer, but a designer, well, you can see where I’m going. Within design, we have established rules to determine quality, like assymetrical balance, appropriate text line width, creativity, applicability of the design to the content, as well as how it expounds upon the content. But these are not the sole means of measuring quality, and they themselves are not always definable. We can all name items we’ve seen that hold all the attributes of a piece of good design, but fail, likewise pieces that break all the rules and succeed. And so, I ask you; What are the elements which define a piece as good? How does one teach future designers quality, if its such an ambiguous term? How does one judge quality in a competition, or for that matter, in your own work? Every once and a while one can lose their way on the path to project happiness. How is it that we look to the skies for inspiration, to conjure up the spirits, or call to the gods for a bolt of genius to strike? Should we do a little rain dance or perhaps perform a ritual sacrifice? We brainstorm again and again, searching high and low for the thunder or the closest sign of electrical activity to present itself. Why do we assume that these surges stem from an external source? All too often we hope and pray something happens. As creative thinkers we have to be proactive in ensuring that these storms are always brewing. That they never fizzle out, but rather recycle from one area to another, to be called upon at a moments notice. Well, it seems the rampant rebranding of the giants is continuing into '06. Kodak has launched it's redesign, pictured above. Apparently something they do with some frequency. We have seen, in recent months, the regrettable rebranding of at&t and the new celebrated Sprint identity. What will the reaction be this time? Designers grab onto these rebrandings with such gusto. Within hours, the blog postings and comments are burning with scandalous rebukes (like this one with over 200 comments) and, less often, praise. I sometimes wonder whether this blogging energy (and I am as guilty as any) is a bit wasted. Logos are, after all, temporary. Granted they aren't as ephemeral as an annual report or brochure, but sooner or later, they all need an update. Some will be better than the original, some will pale in comparison, just like any other type of design. Maybe we'd be better off letting them be, or at least keeping our rampant indignation to a reasonable level. I will, of course, completely forget this the next time IBM decides it wants something "funner". So, last night as I was winding down my day, I realized I was contemplating marketing trends for paper towels. Now, I do not currently, nor have I ever had a paper towel company as a client. No, this was just part of my wind down for the day, and it doesn't stop there. From how Paris Hilton has impacted the iconography of popular entertainment, to what Jerry Springer represents to our culture, I find it hard to turn off the analysis of things better left unanalyzed. I do not construct a grand theory from it, and my husband becomes exasperated from the eagerness with wich I watch a fabric softener commercial, yet I cannot turn it off. I doubt that I am alone in this. So, marketers, designers, creative directors and all the rest, what ridiculous things do you find youself cross-examining in your off-hours? What aspects of your job leak into your daily life, leaving loved ones shaking their heads?